In the summer of 2011 I was contacted by Martha Mintz , a contributing editor for No-Till Farmer Magazine (some of my favorite farm reading!) about helping her with an article on how cover crops help provide improved weed suppression. Martha interviewed me along with Mike Plumer, Ray McCormick, Bill Mason, and Bill Curran. She wrote an excellent article entitled: A Cover Crop Bonus-Weed Suppression. A properly terminated mixture of Annual Ryegrass, Crimson Clover, and Radishes provided a very clean corn field. In mid-July 2011 I posted an article with many photos and testimony of very clean soybean fields that had been planted into tall winter cereal rye. 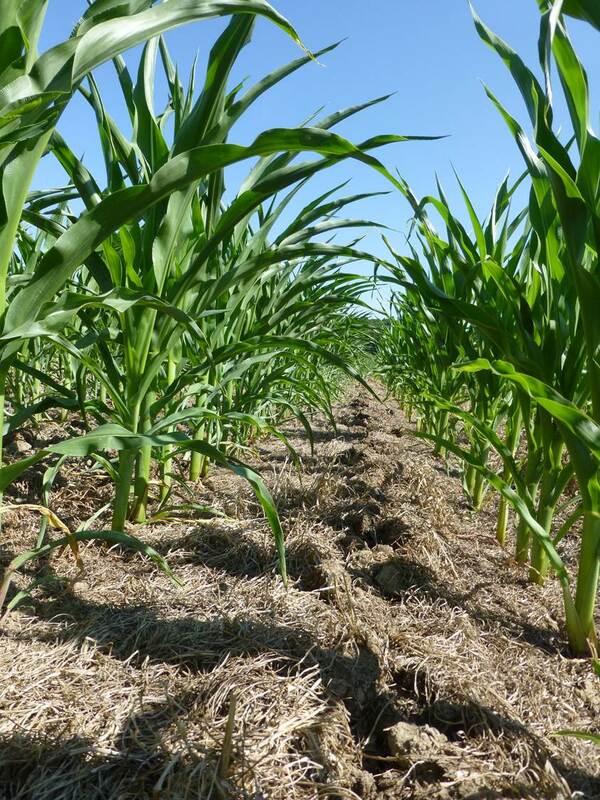 While cover crops might not control 100% of winter annual weeds as chemicals may, they certainly add additional benefits that chemicals never will. Watch the following video for a summer “visual” view on this very topic and this video for a late fall view after aerial application of cover crops. What has been your experience? 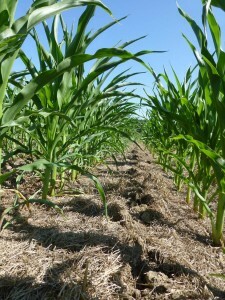 Have you noticed less weed pressure where you’ve planted cover crops? Please share your thoughts below in the comment section. Dave, I noticed four years ago that the cereal rye cover crop I had been seeding into corn or bean stubble was suppressing marestail. A good uniform stand of cereal rye allows me to omit the application of Firstrate herbicide I had been using to control marestail when I burndown the corn fields I was no-tilling soybeans in to. NRCS has a study going at the Manhattan, KS Plant Materials Center on winter annual weed suppression by cover crops. CCs were planted on 9/25/12, and measurements taken 11/9/12. Canopy cover from weeds was reduced by 68% with 1bu/ac cereal rye, and by 85% with 2 bu/ac cereal rye, compared to no cover crop. We will take final measurements just before planting this spring. 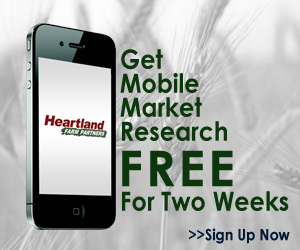 Thanks for the data to help substantiate what many producers are seeing in their fields. I’ll look forward to seeing the final results! In the areas of the garden where I plan to grow tomatoes I sowed cereal rye in early September with the intention of crimping it in 2013 for mulch. There is very little chickweed in the areas of established cereal rye. The rest of the garden is full of it.